For fans of 90 Minutes in Heaven, Laurie Ditto shares her real-life account of death and what comes after in this supernatural and stirring read. A visceral, first-hand account of the afterlife. Laurie Ditto's life was forever marked when she experienced supernatural visions of hell. The changing shape of people's bodies in hell. The alarm is sounding! Heaven and Hell are real. Where will you go? 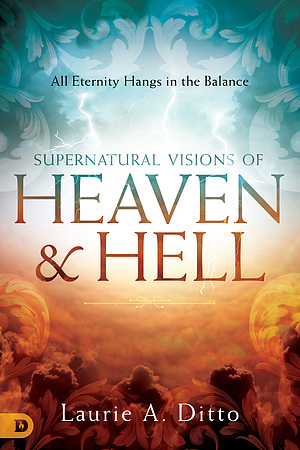 Supernatural Visions of Hell by Laurie Ditto was published by Destiny Image in April 2019 and is our 758th best seller. The ISBN for Supernatural Visions of Hell is 9780768446432. Be the first to review Supernatural Visions of Hell! Got a question? No problem! Just click here to ask us about Supernatural Visions of Hell.